Hi kids. You like pedals, right? Right. You like when your guitar doesn’t sound like a guitar, right? Right. At least I do. And since I seem to be the one writing I guess you just have to be captive and read. 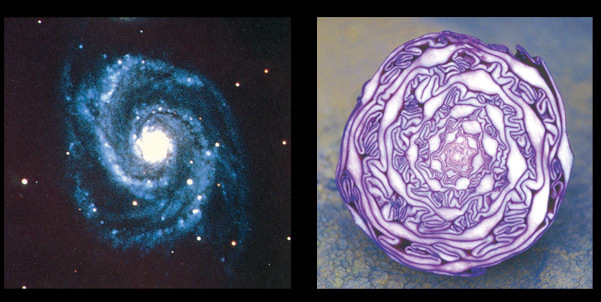 So let’s talk about a few easy ways to achieve the aforementioned idea. It’s easier than giving candy to a baby, taking the candy from that baby, and then eating the candy in front of said baby. One method is to think about how a synthesizer synthesizes sounds and treat your effects pedals as if they were ‘modules’. If you’re familiar with the idea of a modular synthesizer, it’s easy to find equivalent effects (or ‘modules’) that will make up your pedal board. Essentially when you wire up multiple pedals in a chain, you’re creating a modular system (in that you can stack them in various combinations). For example, you could employ an envelope filter or something with ADSR controls like the Pigtronix Attack Sustain as your ‘filter module’ and so on. You only need like 3 or 4 pedals minimum to get down like a clown my friend, and then you’re free to mix, match, shake, and/or stir any combo of ‘modules’ you like. Granted the control over your signal path is much more limited, but the basic idea is the same. Another approach is to sort through a slow but steadily growing amount of ‘synth’ pedals on the market – pedals specifically designed to break down your guitar signal and put it back together in the form of synthesizer sounds/textures. Examples of these would be the Electro-Harmonix Microsynth & HOG2, the Subdecay Octasynth, Earthquaker’s Bit Commander, etc. But for guitarists looking to get their hands into some actual synthesis, look no further than Pittsburgh Modular’s recent foray into guitar effects. 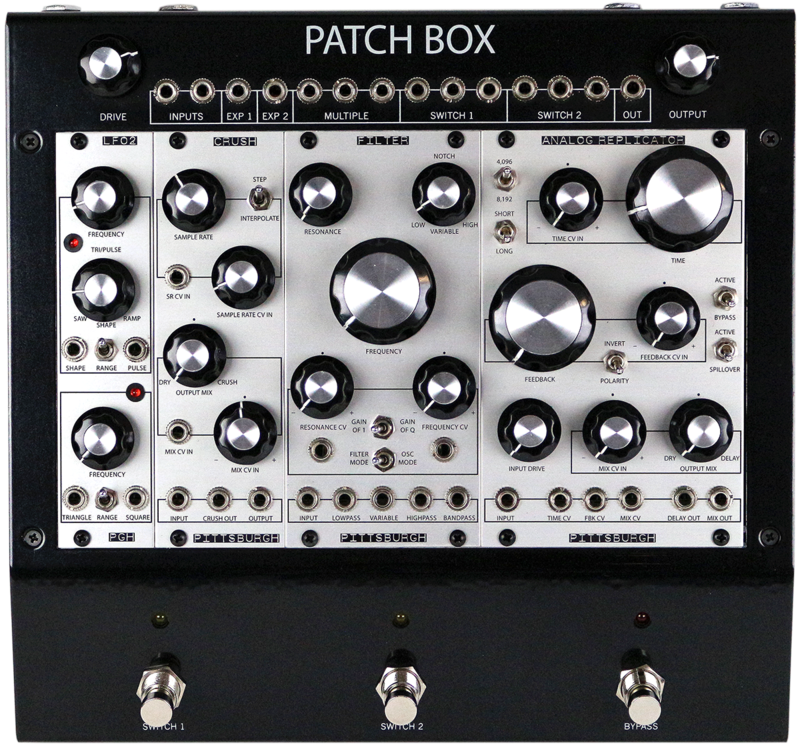 Their floor-sitting Patch Box Enclosure allows any guitarist to pick and choose real deal synth modules (made by Pittsburgh Modular and/or third party modules) to flavor one’s tone tea if you will. (You will.) The ability to use the 3.5mm patch cables like a real boy modular synth provides unprecedented flexibility to create new guitar sounds only limited by your creativity. (Don’t be mad at it if you can’t make it make good sounds.) 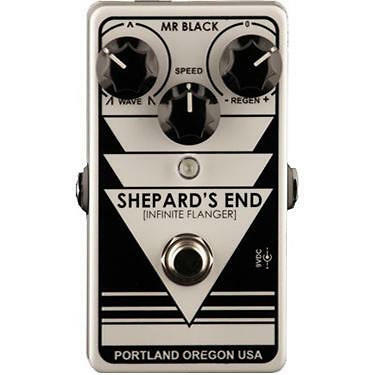 This is one of the only ways that I know of to completely break the oppressive chains of a fixed signal path normally found with effects pedals, but you gotta pay over $1000 for it when all is said and done. Butttt like I said regular pedals are still a bit away from offering this type of flexibility. My last tip is don’t poo poo even your boring regular old guitar pedals, there are ways to make these work in your synth rig as well (modulation effects come to mind – pretty much any chorus/flange/phaser will enhance your synth sounds). Most importantly though, experiment and find sounds you like! Do you like what you hear? Do you hate pedals and everything they stand for? Let me know by leaving a comment! Hey all, it’s that spooky time of year again, so I thought it’d be fun to put on our Hillary Clinton masks and talk about making freaky sounds with some pedals. Sounds fun, right? Right. The inspiration of this idea came from Tera Melos guitarist, Nick Reinhart. If you don’t already know, he’s kind of a pedal mystic or sage if you will and has in the true Halloween spirit, made recordings full of spooky sounds on guitar. Check it out above. I wanted to share a spooky soundscape I did and talk about a few pedals that are perfect for haunting your house, cabin, spaceship or any other place that is bound to contain evil spirits and/or aliens. Moog Mf-102 Ring Modulator – every sound that comes out of a ring modulator can be nasty, dirty, scary, and panic-inducing if you want it to be. LFO sweeps, crazy harmonics and electric bellgongs, robot wolf howls…Ring modulators are a pretty common sci-fi film sound effect that I’m sure you would recognize. Most robot voices are just ring modulators. Think of it as a robot larynx, I guess. Visual Sound Liquid Chorus – the Liquid Chorus ironically sounds beautiful and makes everything shimmer. Chorus (or any modulation) is great for creating suspense, especially if you set the depth, width, and rate controls high for some wobbly swirlyness. The faster the swirl the more anxiety you can impart on your dog, as well as any ‘subjects’ you may have strapped to that operating table in your basement….oh, that was a secret? My bad. 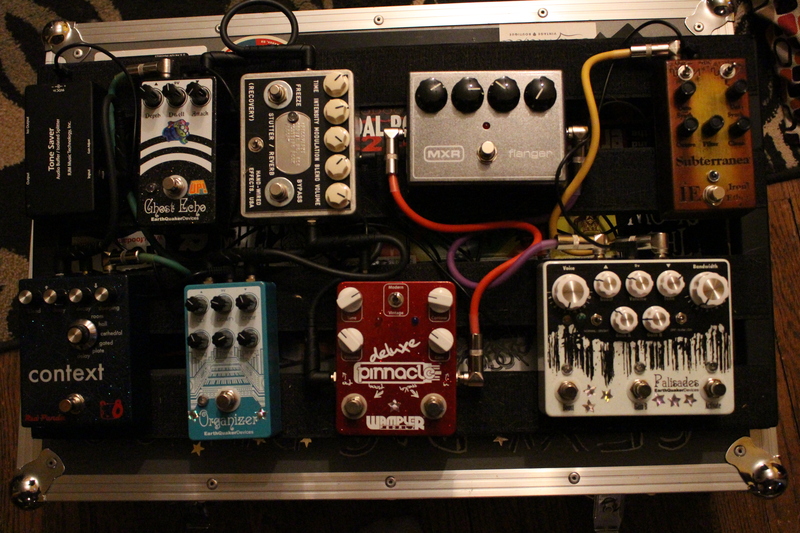 All these pedals can be used in a musical, subtle way, but today that isn’t the point. 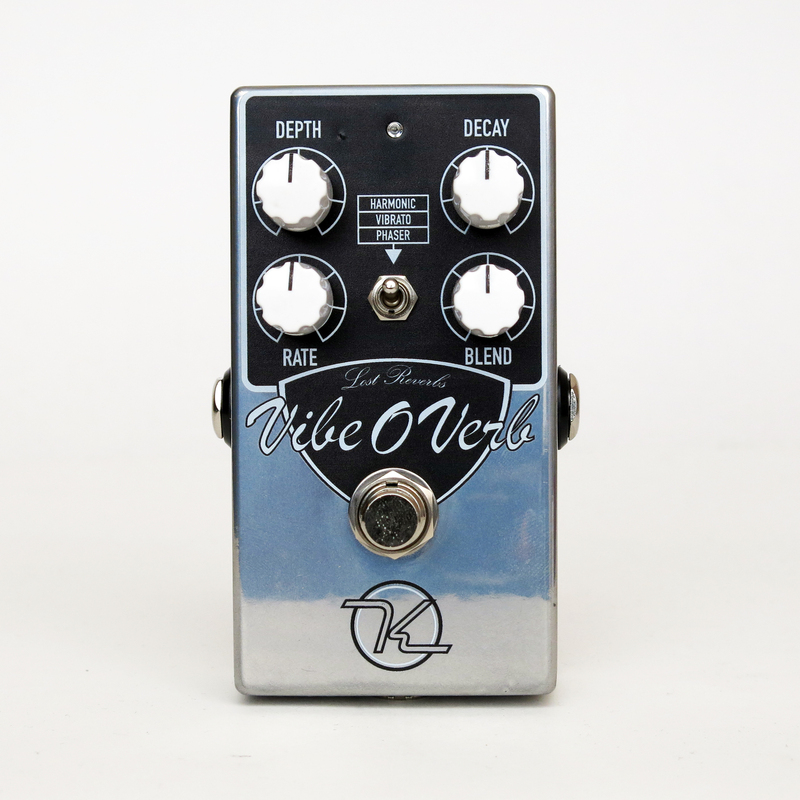 Mood and texture is what it’s all about if you want to get freaky with pedals. Now go out there and make Satan proud!